I want to be a role model for my son, Holiness, and to become a very famous entrepreneur. Your support will give me the leadership training I need to be a confident and empowered business owner. Help Maria become a thriving stove entrepreneur in her community. To sponsor Maria, give $200 per month for her two year training program. You will receive four updates on Maria, as her business grows. After two years, your monthly gift will end. 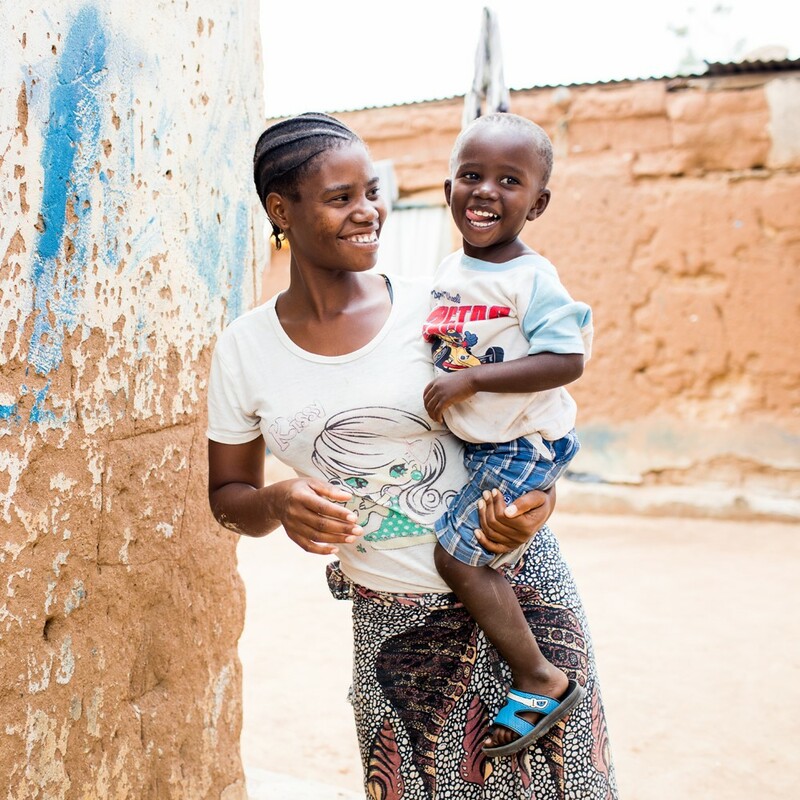 Maria is a young entrepreneur and single mother of her three-year old son, Holiness. "I have big dreams for my son. I want him to be a priest. But I need to grow my business so I can pay his school fees and give him the best life." Maria hopes that the leadership training will empower her to be more confident and to lead her employees well. Why she was selected for the program: Maria started her business recently in 2016 and has already expanded her business enough to employ two community members. She is an extremely hard worker and wants to lead others. "I want to employ a lot of people from my community, from 100 and above!" She is excited to receive training to help her reach this goal. Her business goal: Maria hopes to learn marketing skills and better business management strategies so she can be a better boss to her current and future employees and expand to more markets.